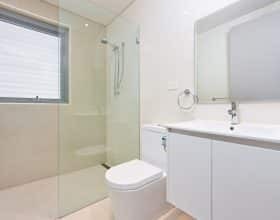 Are you looking for bathroom renovations in Melbourne? Then, you are at right place. Jude’s Bathrooms is an Australian owned, bathroom remodeling company with an eye for value, style, creativity and functional designs that people love. 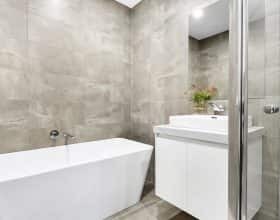 As part of the Service Today Group, we have decades of experience in large & small bathroom bathroom renovations Melbourne and are all about delivering beautiful work with our Satisfaction Guarantee. Our ‘Good’ designs are for those who are value conscious and want the best possible design for their dollar. Our ‘Better’ designs are for those who love quality, style and who wish to take their home to the next level. Our ‘Best’ designs are for those who love full luxury and wish to impress, where only the best will do. Jude’s Bathrooms has an expert team of highly skilled and experienced bathroom renovators in Melbourne, proudly offering the best value for your hard-earned money. Our professional designers can sketch detailed layouts for every budget, from small through to grand and luxurious. Our talented renovators will make your dream of transforming your bathroom into a beautiful, relaxing and functional oasis come true. We guarantee our high-quality workmanship at all times, and always ensure our renovations are completed to meet the agreed timelines. 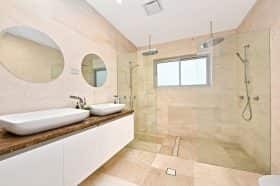 Jude’s Bathrooms has been successfully providing bathroom renovation services throughout Melbourne including Campbellfield, Northcote, Hawthorn, Toorak, Essendon, Brunswick, Roxburgh Park, Somerton, Epping, Coolaroo, Coburg, Dallas, Broadmeadows, Fawkner, Greensborough, Hoppers Crossing, Thomastown and Lalor. The team of Jude’s Bathrooms are committed to providing you with creative and inspired designs that will make you fall in love with your bathroom all over again and that too at highly competitive prices. If you have a concept we will turn it into reality. We take pride in our prompt and quality services. 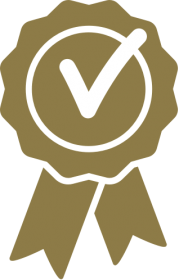 We have set high standards for ourselves and our customers and are keen to deliver on these aspects. As an experienced bathroom renovation contractor, our team specialises in all types of bathroom renovations from large to small, luxurious to budget, classic to contemporary or urban. We provide turnkey solutions right from concept/idea generation phase to the complete finished product. We strive to achieve perfection with regards to your design and styling needs. Our bathroom remodeling process centers around our customers and their requirements are our priority. We will utilise every inch of the space available to turn your bathroom into a highly functional unit and will ooze elegance at the same time. Jude’s Bathrooms will closely work with you to breathe life into your existing dated or worn out bathroom thereby making your customised bathroom ready to suit your lifestyle! Whether you’re looking for streamlining the features of your existing bathroom or want to carry out a complete makeover, straightaway contact Jude’s Bathrooms, by just giving us a call on 1300 663 805. Let us re-design, renovate and remodel your bathroom.